Reason for Reading: I adore Virgina Woolf. Synopsis: Nicolson, the son of Vita Sackville-West, Woolf’s occasional lover, gives us a short biography of Woolf’s life, including her rough childhood, marriage, friendships, writings, and struggles with insanity. Why you should read this book: Nicolson skillfully wades through volumes and volumes on what’s known of Virginia Woolf’s life and distills it into a concoise biography that still manages lots of rich detail. A big advantage of this biography is, of course, that Nicolson knew Virginia when he was younger, and provides the reader with that extra bit of insight, both positive and negative. The biography also includes short summaries and critiques of Woolf’s novels. 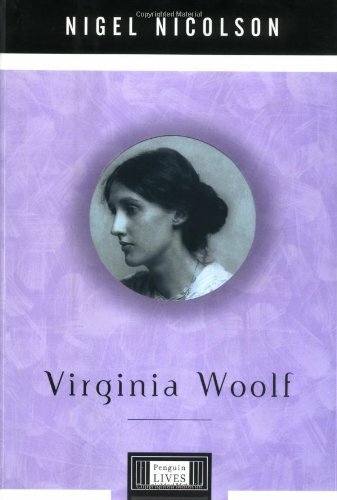 Why you should avoid this book: If you’re a big fan of Woolf, this book is really more of a jumping point or a highly condensed look at her life that puts events into perspective, as Virginia left behind volumes of her diaries and letters that say more than a short biography ever could. In her childhood Virginia Woolf was a keen hunter of butterflies and moths. With her brothers and sister she would smear tree trunks with treacle to attract and capture the insects, and then pin their lifelike corpses to cork boards, their wings outspread. It was an interest that persisted into her adult life, and when she discovered that I too was a bug hunter, she insisted that we go hunting together in the fields around Long Barn, our house in Kent, two miles from Knole, my mother’s birthplace. I was nine years old. Virginia had no lover and no wish for one, and turned down two further offerings of marriage, one from Walter Lamb (Hentry’s brother), the other from the diplomat Sydney Waterlow, who was divorcing his wife in the hope of marrying her. In writing to Sydney, Virginia was kind (‘I don’t think I shall ever feel for you what I must feel for the man I marry’), but in writing about him, she did not spare him her sharpest ridicule. She needed solitude to complete her first book, and bought one half of a Victorian house at Firle, her first venture into the part of east Sussex which was to be her country retreat for the rest of her life. She agreed that ‘the cottage’ was in fact ‘a hideous suburban villa,’ the only ugly house in a pretty village, but that didn’t matter, because when you are inside, you can forget the outside. The only writer for whom she felt acute jealousy was Katherine Mansfield. They were attempting to transform fiction in the same sort of way, and Virginia sometimes suspected that Katherine was the more successful. In character, they were opposites. Katherine, a New Zealander, six years younger than Virginia, was abrasive more than provocative, sexually more audacious, less anxious to impress and please, alarming, vulgar even. While Virginia was capable of hurting people’s feelings and then regretted it, Katherine didn’t care: she would do it again. She could be as envious of Virginia as Virginia was of her. While courteous to each other when they met, they were highly critical when apart. Also recommended: Mrs. Dalloway by Virginia Woolf; The Letters of Virginia Woolf by Virginia Woolf; Diary of Virginia Woolf by Virginia Woolf. Also by this author: Portrait of a Marriage; Long Life; Mary Curzon; People and Parliament; Fanny Burney; Alex Alexander of Tunis; Two Roads to Dodge City; Vita & Harold; Kent; Robert Louis Stevenson; The World of Jane Austen; The Himalayas; Managing the Human Animal.